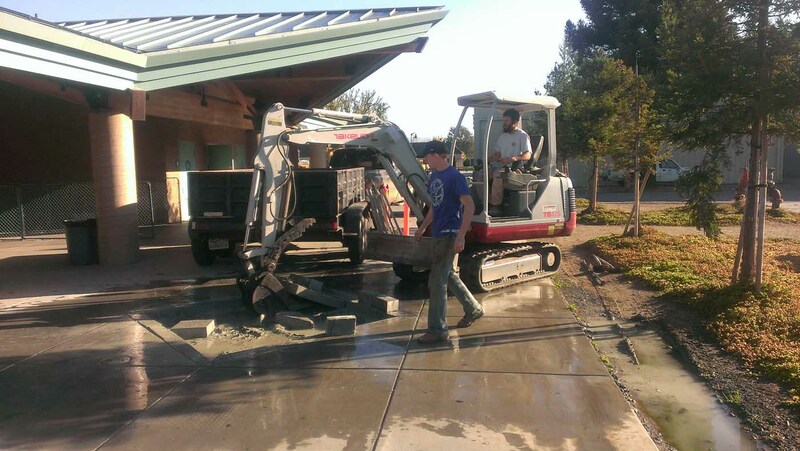 John and Daniel are out to saw cut and remove concrete to excavate for an underground leak at Gilroy High School. Leak was coming from a defective PVC fitting that was removed and replaced. The patch back of concrete was completed by one of our many excellent subcontractors. All of the subcontractors we use have a proven track record of excellence and reliability, and most of them are local.